Our Silicon Valley Immigration Attorneys are happy to help handle complex immigration cases including: H-1B, L-1, O-1, TN, E-3, P, Religious worker, Employment Green Cards; Marriage Green Cards, Parent Green Cards, Sibling Green Cards, and Fiancé Visas (K-1); and, Asylum, Deportation Defense, Citizenship, Citizenship Appeals, Immigration Waivers including I-751 Marriage Waivers, VAWA, and U-visas. We also assist with many non-immigrant visas such as Tourist Visas, Business Visas, Conversion from Tourist Visas to Student Visas. Call today! At Verma Law Firm, our mission is to help our clients achieve their American dreams. We will strategize and build creative solutions in order to resolve complex immigration matters. We will go the extra mile in order to help you begin your journey towards a brighter future on American soil. Our managing attorney is extensively experienced and highly successful when it comes to representing the rights and best interests of immigrants. When choosing an immigration attorney to represent your rights, it is imperative that you select a trusted legal professional who will devote the necessary time and energy to your case. When you secure our representation, you can be confident that you have made the right choice. We will provide you with the one-on-one attention and tenacious representation that you need. Our attorneys will personally handle each legal aspect of your case. Unlike other immigration law firms, we will not hand your case off to a paralegal, nor will we treat you as just another case. We will take the time to get to know you and your case on a personal and in-depth level. 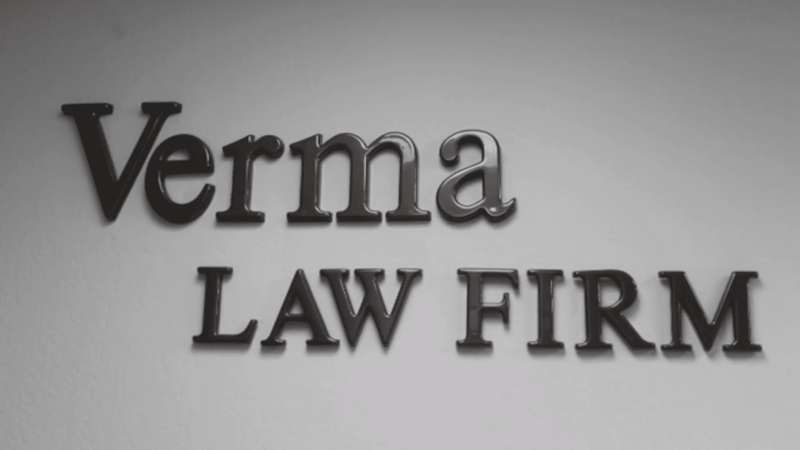 Contact Verma Law Firm Today!